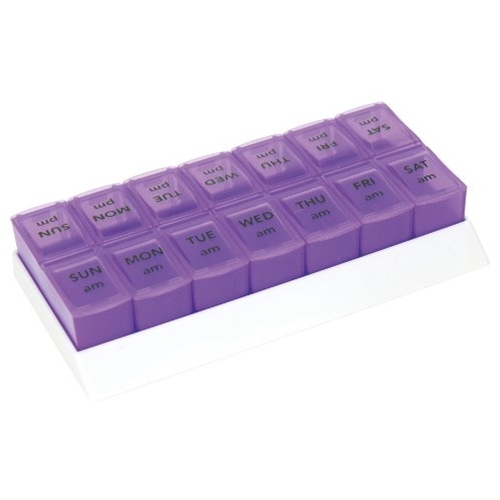 Apex 7 Day AM/PM Pill Tray from HealthyKin.com securely holds an entire weeks' worth of medication and vitamins for an individual on a twice a day regimen. Each daily compartment can be removed from the tray and taken on the go. 1.25" x 4.5" x 8.25"